Prepare to be amazed when you discover the new Peugeot 3008 SUV GT, which is available to order here at Motorparks today. The car’s exterior features Peugeot’s signature ‘Coupe Franche’ duel colour paint design array, 19-inch ‘Boston’ alloy wheels and a chiselled, chequered grille that is perfectly complemented by a full LED headlight setup, for instance. Step inside the new 3008 SUV and you’re also presented with the PEUGEOT i-Cockpit — a setup which sees you being greeted with an eight-inch touchscreen dashboard and a customisable 12.3-inch digital head-up instrument panel, to name but a few standout features. We mustn’t forget to mention the panoramic opening glass roof that is designed onto each of our new Peugeot 3008 SUV GT cars too, which is styled with blue ambient lighting and an electric blind. 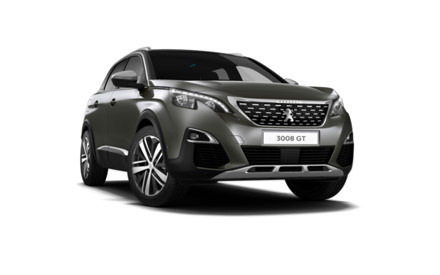 Enquire about the new Peugeot 3008 SUV GT online today, or visit our Peugeot Warrington Motors dealership to view the car in person.